HOW WILL ART THERAPY HELP ME? When people are experiencing trauma, dealing with conflict or intense feelings it can sometimes be difficult to express related emotions and feelings verbally. Art Therapy offers the client the opportunity to explore, understand and resolve issues that they may find difficult to talk about. DO I NEED TO BE GOOD AT IT? No artistic experience or talent is required for the client to benefit fully from Art Therapy. Our art therapist is highly trained in art techniques as well as psychology and will guide and support you throughout the sessions. All you need is to be open to the experience and willing to engage and explore creatively. WHAT HAPPENS DURING ART THERAPY SESSIONS? 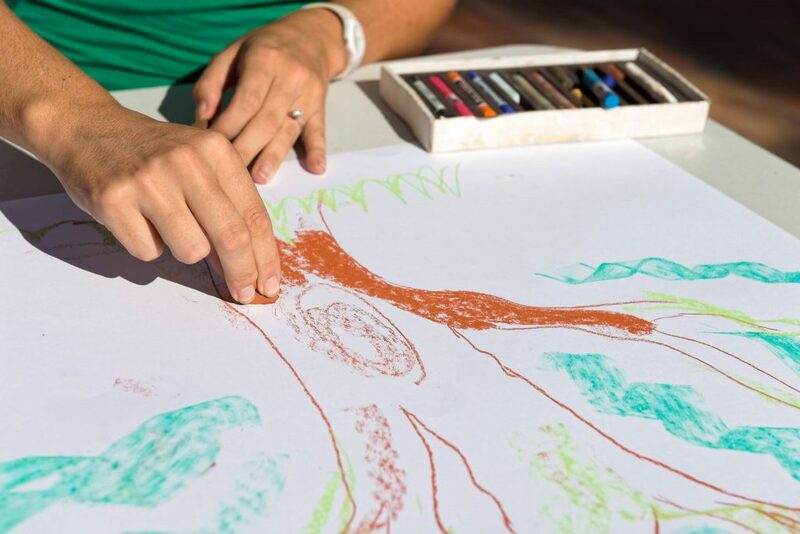 During your Art Therapy sessions your therapist may ask you to do certain activities which are designed to help you explore your emotions and feelings in different ways. The types of art activities will depend on issues you may be exploring and also your own preferences. The focus will usually be on the process rather than creating a finished piece of art, however, any artwork created will belong to you.